PassMark MonitorTest is a tool that allows users to investigate the quality and performance of their computer monitor or LCD flat panel screens. With more people spending more time in front of computer monitors it is important to purchase a quality monitor that will provide crisp, bright images, while reducing the strain on your eyes. 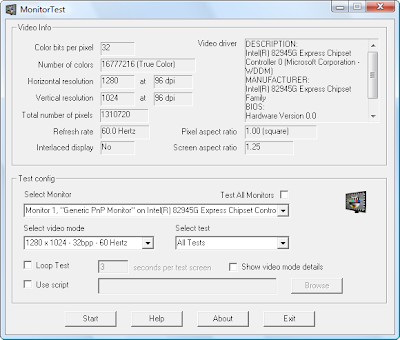 The MonitorTest software generates test patterns on the screen at a variety of different resolutions and color depths to test for optimum visual performance. Each of 25 different test screens have been created to test a particular aspect of the monitors performance.